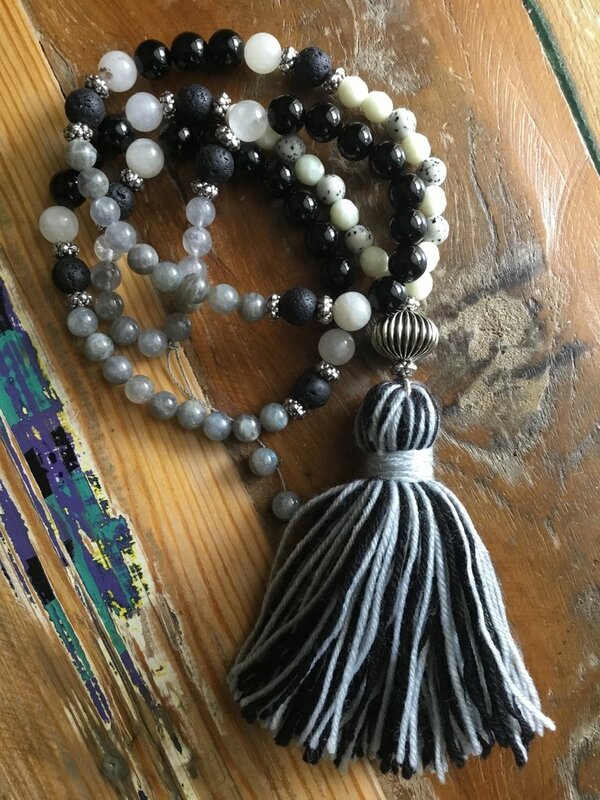 Here comes our unique Balance & Harmony Mala Necklace…. BLACK AND WHITE GEMSTONE CRYSTALS: They represent the opposite ends of the colour and energetic spectrum. Black Crystals represent the yang energy of power, protection, control, knowledge and masculinity. White Crystals represent the yin energy of softness, gentleness, higher power and femininity. 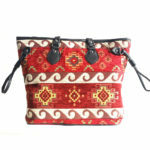 When paired together, they create overall balance and harmony within a space. Harnessing the power of black and white gemstones, like combining shungite and selenite, can transform your soul into a high- vibe oasis of Crystal energy. LAVA ROCK STONE: Enhances creativity, use your favourite essential oil with the beads, helps cleans Negativity. CLOUD QUARTZ: it acts a deep soul cleanser, purifying and enhancing the body’s internal structure and surrounding subtle bodies to connect the physical dimension with the mind. Wear your mala necklace for ongoing, everyday support. All materials that I use are from reputable sources and I take great care to cleanse and treat gemstones, with the most respect while I’m making the mala necklace. 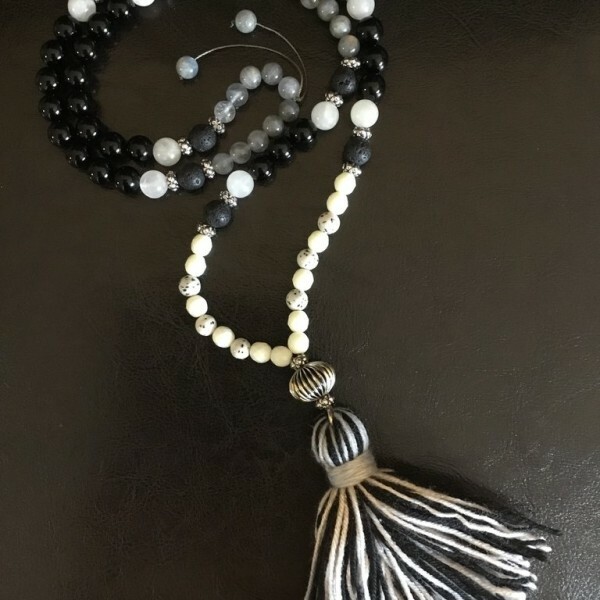 The Necklace is 21” long, from the top to the end of the tassel. 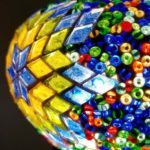 SKU: KOL45. Category: Gift Set, Gifts For Her, Gifts For Him, Gifts Unisex, Jewellery, Necklace. 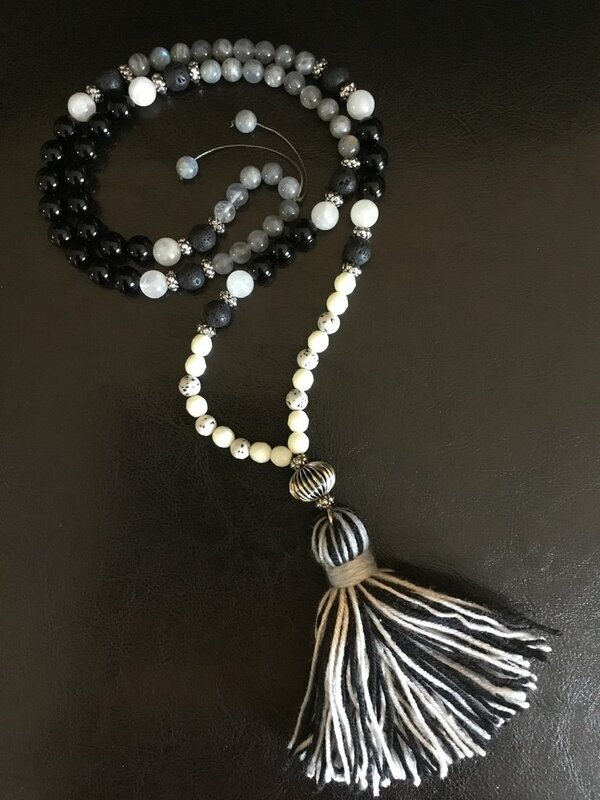 Keywords: Handmade, Meditation, Yoga, Necklace, Seed Beads, Mala, Rose Quartz, Dark Green Malachite, Balance & Harmony Mala Necklace, BLACK AND WHITE GEMSTONE CRYSTALS, LAVA ROCK STONE, CLOUD QUARTZ.